In this rich and deeply satisfying novel by the beloved author of The Art of Mending, and Open House, a resilient woman embarks upon an unforgettable journey of adventure, self-discovery, and renewal. 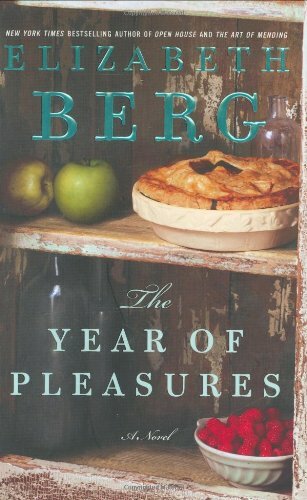 Elizabeth Berg's The Year of Pleasuresis about acknowledging the solace found in ordinary things: a warm bath, good food, the beauty of nature, music, friends, and art. "Berg writes with humor and a big heart about resilience, loneliness, love, and hope. And the transcendence that redeems," said Andre Dubus about Durable Goods. And the same could be said about The Year of Pleasures. ELIZABETH BERG is the New York Times bestselling author of thirteen previous novels, including The Art of Mending, Say When, True to Form, Never Change, and Open House (an Oprah Book Club selection in 2000). Durable Goods and Joy School were selected as ALA Best Books of the Year, and Talk Before Sleep was short-listed for the ABBY Award in 1996. The winner of the 1997 New England Booksellers Award for her body of work, Berg is also the author of a nonfiction book, Escaping into the Open: The Art of Writing True. She lives in Chicago.